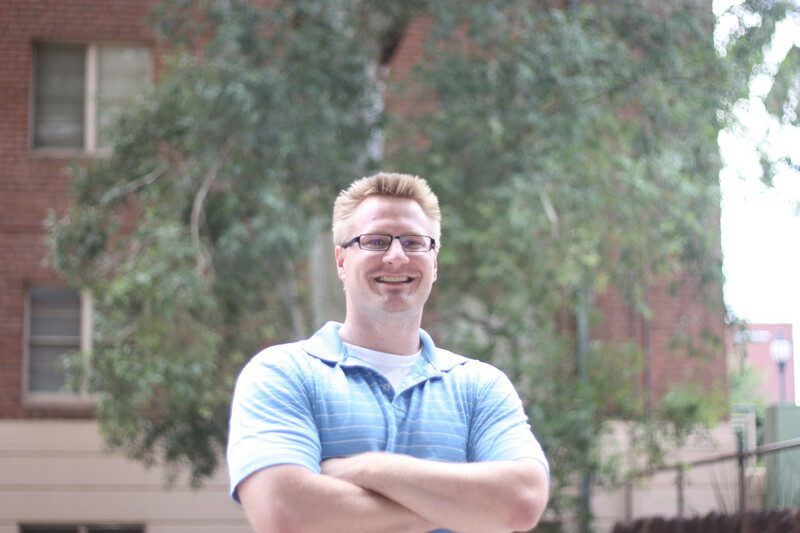 Dr. David Baltrus is an Assistant Professor in The School of Plant Sciences at the University of Arizona. He received his PhD in Ecology and Evolution from the University of Oregon, followed by a postdoctoral fellowship at the University of North Carolina at Chapel Hill. Dave is here with us today to tell us all about his journey through life and science. Dave’s research is broadly focused on microbial evolution. His lab uses comparative genomics to identify the genes and pathways that mediate interactions between bacteria and other organisms (plants, insects, fungi, other bacteria), and to understand how these interactions arise and change over time. His lab is also interested in how horizontal transfer of genes across diverse bacterial species shapes future evolutionary dynamics. His research primarily uses plant model systems to address important questions such as: How do bacterial pathogens adapt and thrive in multiple environments? How and why do bacterial genomes change over time? What happens if we break different microbial genes?